This is our second time going for a walk around the park. Further, we walked through shopping street, where we found few of those dressed in ghost costume. Then we knew, it's Halloween!!! On our way home, we met another one who's sure going to Halloween party. Just right we enter the apartment, we met another couple on their way out in another kind of costume. 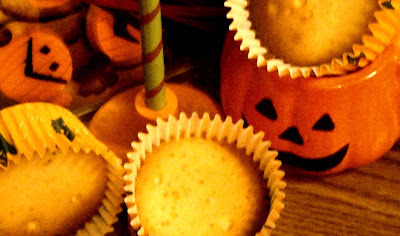 Hum... by the way, I baked it, just early this month. Happy Halloween! Nice site, cool writing. Hope you get what your want [fun!] nice to see you. Good luck. where are you TOM? miss you. Duh, though I came to the wrong page, wondering when did you bake that cake.